You Ask, I Answer: Comprehensive Social Media Analytics? In a word, no – at least not in the sense of a prepackaged, off the shelf product. You’ll have to do that yourself. There’s a multistage process for doing so. Watch the video for a high-level walkthrough of the overall process. 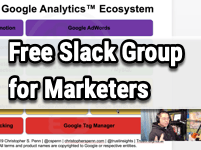 Join my free Slack group for marketers interested in analytics! In today’s episode, Beatrice asks, Can you recommend a tool to tie social media data together and surface best performing content campaigns, ad costs, abnormalities and R Y? Well, in a word, no, at least not in the sense of a pre packaged off the shelf product that will just do it for you. You’re gonna have to do this yourself or obviously bringing a partner to help you do it. But it is a doable thing. I’m actually working on a project like this for one of my customers, which is has taken a long time and ISA still ongoing process on. The reason for that is that it is. The question here is many part. There is a data science aspect. There’s a exploratory data analysis expects there are. There’ll be some requirements to use things like machine learning, and in this case, there’s a whole bunch of things going on. So let’s unpack this question through the lens off the data science life cycle because I think that’s a good place to start. Let’s brings up here the data science life cycle begins with the definition off the goals. And in this case, in Beatrice is question. If we unpack, this is actually multiple goals. There is a goal to surface best performing content. There is a goal to look at. Ads cost There’s a goal for for anomaly detection. And then there’s this goal for R O.
Y, and they will require separate techniques in orderto pull these things apart. 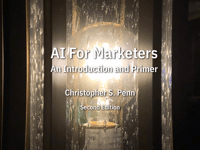 For example, our wise actually a serious of statistical mathematical computations around the pricing and cost of your advertising, detecting abnormalities and anomalies that is, ah, data science for sure, machine learning somewhat on then for best performance. Even though it sounds simple, there is actually a set of machine learning tools that you would use to identify what variables lied to your best outcomes so that definition parts Step one of this multi step process is an important one. From there you have to ingest the data. This is harder than it sounds, too, because every social platform has its own AP eyes. Many of them have restrictions on what you can extract out, and you’ll probably have to use third party data sources so if youse ah posting tool like Agora pulse. If you brand monitoring tools like Talk Walker and Brand twenty four, If you use competitive monitoring tools like Spread Fast and Sprinkler and sprout social and simply measured, you’re going to see all these different tools that will have repositories for your data and don’t forget, then you have to go into Google Analytics and get data. How There you have to go into your marketing automation system. Get that out of there. Get Do you see around? Get data out of there. So that’s ingesting all these different data sources and finding a way to bring them into one place so that you could do analysis on them. The third step is the analysis of the data itself, and this is this is analyzing the condition of the data, says not even doing the full exploratory data analysis. This is just what did we get? Is it in good condition? Other anomalies with things that you need to fix in the data itself? Boys. Your Google analytics tracking code off for two days by accident? All those things. The next step is to repair the data. Fix it up clean up any things that are need to be removed. If you want to be able to do effective attribution analysis, you have to do some level of normalization and converting things to a different scale so that you could do apples to apples comparison. So there’s a lot of that repairing and cleaning and then preparing the Dina getting it ready for you. The next step after that is augmentation. You need to be able to bring in more third party data. So search data, for example, is incredibly powerful and important when it comes to doing social media and house because you want to know if your audience is what they’re looking for, mirrors what they’re talking about and if, if so, you can use that later on. So you want to bring in that augmentation. Now you’re finally ready to do the data exploration it took a while to get here. The data exploration, his one. You look at men’s and maxes and mediums and core tiles and the characteristics of the data said. What is in this thing? What? What questions is, are you capable of answering with and If you can’t answer the question, you have to go back to the start and bring in new data and repeat those initial cycles. After that, you do your comparisons to figure out what happened, What’s important, what’s not. What are the things that we need to build a forecast forward? So when we’re talking about things that are a Y or best performing content, can we predict what content performs the best? You’ll build some hypotheses around that you will prescribed based on the data. So if we know that Ah, Twitter tweets on Tuesdays are important, we wantto be able to prescribe something from that. All this rules up into a model. Yeah, it can either be a machine learning Moloch or statistical data science model, whatever. But it has to be something that essentially is the playbook of how your data behaves, and that gives you some rules and guidelines for what to do. Then you validate that model and refine it. Hypothesis testing If tweets on Tuesdays of the thing, then was due more treats on Tuesdays and see if our numbers go up off the key that keep before it’s in case we care about go up. Once we’ve proven that the model actually works, we deploy it on the observe and make sure that the models continues to work in the field. This process, it’s a lengthy process, and it’s an expensive process. But if you do it right, it has multiples on your return on investment because it makes everything else you do impactful. But is there a tool to lose? No, not even close. This is to do something like this requires typically multiple tools and custom code, so you’d have a big, big database of some kind. I personally use Google big query a lot for for stuff like this, there’s a programming language that sits on top of it. I use program in which our other people will recommend things like Python. You can use tools like IBM Watson Studio to help with some of this, especially. You wantto have a continuous production model, but that it gets even more expensive and you want to do this is a proof of concept. First, to make sure there’s that they’re there, and you can answer these questions before you drop a couple million dollars on a system and then you roll this out and you have it in production and have systems and software monitoring your model to make sure it’s working. So process wise, you would would build a proof of concept, proved that there’s there. They’re up level into production, deploy it and then and then monitoring not ongoing basis. It’s not fast and there is absolutely nothing off the shelf that we’ll do this. Beware of any vendor that makes the bold claim that they can do any of these things together. You can have individual point solutions that can help you with little things like you know what content had the most engagements. But that is only in a tiny silo. It is not a comprehensive picture of all the activities that you do have all the data you have access to. Oh, the tools could help you with ad cost. If you’re if you’re trying to confine your study just to that little piece of data. But if you want the big picture, this is the process you have to do. If you have any further questions, please leave them in the comments. Otherwise, please subscribe to the YouTube channel in the newsletter. Want help solving your company’s data analytics and digital marketing problems? Does it trust insights dot Ay, ay today, unless you know how we can help you.